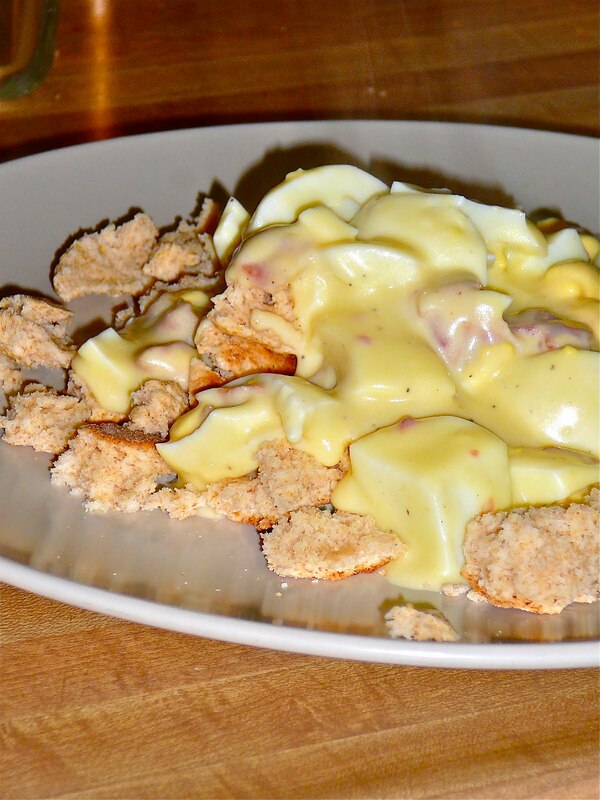 Every Easter morning growing up, my Dad would make creamed eggs and biscuits. It's one of our families favorites still. My husband thinks it might be the top favorite from my side. 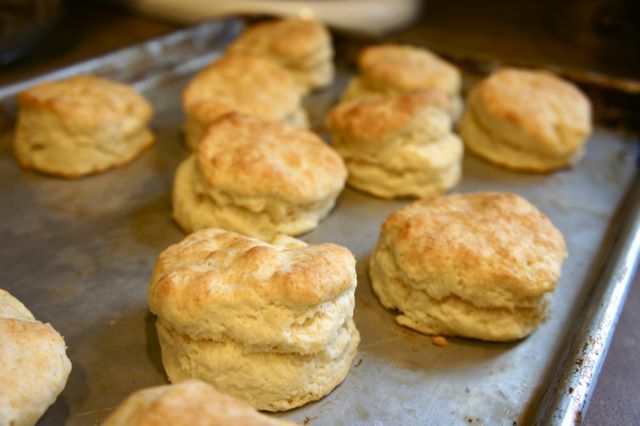 The biscuit recipe I used was this one from allrecipes. (My new go-to recipe: best with 1/2 shortening, 1/2 butter). Over medium heat, melt the butter and then whisk in the flour. 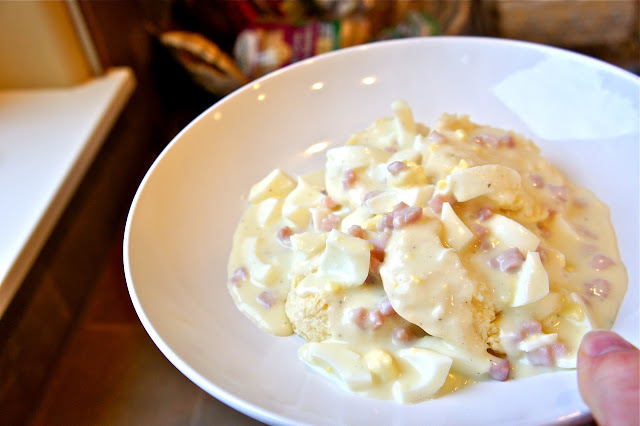 Once it is mixed, cook for about 2 minutes then gradually add in the milk, whisking as you go. Once all the milk is in season to taste, add sliced eggs and meat, and heat through. If it is too thick, add more milk. If it is too thin, add more flour/water mixture. Serve over hot biscuits. 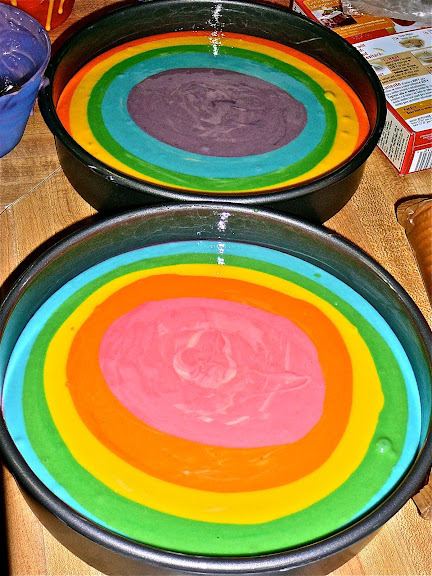 As a new tradition starting this year, we are going to make Rainbow Cake every Easter. The kids have been talking about this for weeks now and loved every lick of frosting. 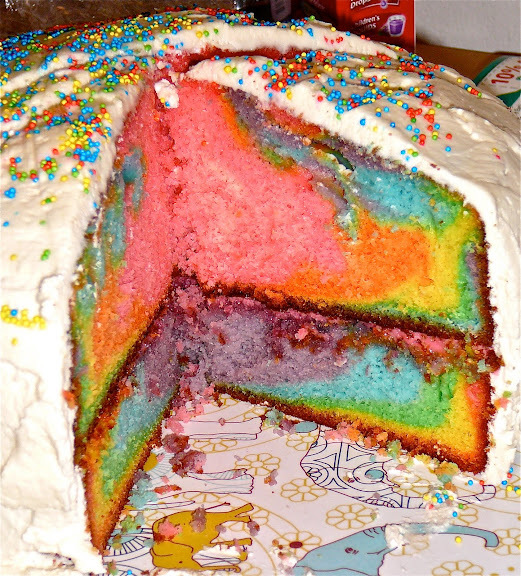 If you want to know how to make this, go to this post. Thanks for the reminder of that creamed eggs & biscuit recipe! MMMMM!